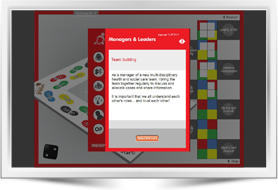 An innovative partnership with the Technology Strategy Board and then Think Local, Act Personal (TLAP) led to the new electronic tool – Whose Shoes?® – Making It Real. 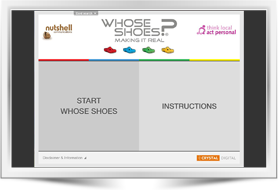 Whose Shoes?® – Making It Real has been co-produced and piloted with a very wide range of groups and organisations. 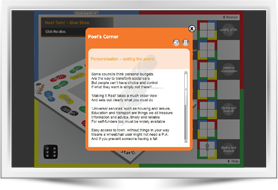 It aligns key messages about personalisation to TLAP’s ‘Making It Real’ framework. It provides a powerful, flexible tool to support you at all stages of your transformation journey, triggering crucial conversations as you work together for excellence in health and social care. Click here to view the flyer.